The Case of Richard Wagner's "Der fliegende HollÃ¤nder"
Program: Andrea Silvestrelli is one of the most sought-after âï¿½ï¿½bassi profondiâï¿½ï¿½ on the international opera scene. This season at Lyric, Mr. Silvestrelli is heard as Ferrando in Il Trovatore and the Commendatore in Don Giovanni. Excerpts of his "velvety black bass" singing Hunding in the Seattle Ring can be found on YouTube. Ms. Jones, a Ryan alumna, premiered the Song of Magnun by Bright Sheng and portrayed Xenia with Samuel Ramey in Boris Gudunov and Olga with Mirella Freni in Fedora. She is on the Columbia College and Merit School faculties. 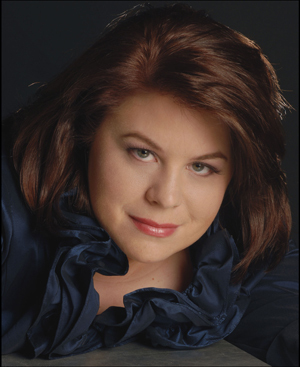 Program: We are pleased to have soprano CLAIRE STADTMUELLER coming from Connecticut to be our guest artist. Soprano Claire Stadtmueller sang the role of Tosca in New York's Central Park with New York Grand Opera under Maestro Vincent La Selva. This season she returns to sing Amelia in NYGO's production of Verdi's Un Ballo in Maschera, and in the Verdi anniversary year, she sang her first Requiem. She made her Carnegie Hall debut in Beethoven's Missa Solemnis. Egon Stadelman wrote for the New Yorker Staats-Zeitung: "Of the solo quartet, soprano Claire Stadtmueller was by far the most outstanding. She enjoyed a star moment and took advantage of it to the loudly exclaimed enthusiasm of the audience." She will be accompanied by KEN SMITH, a faculty member in the School of Music at Northwestern University. Claire will be singing arias by Richard Wagner, Carl Maria von Weber, and Richard Strauss. You can catch Claire on YouTube.com. We are pleased to have 3 fine singers from the Chicago based group VOX 3 Collective. They will present a program consisting of works from the German romantic era. Soprano Megan Cook, mezzo soprano Catherine Huggins, and tenor Blake Bard will be accompanied at the piano by Jimmy Morehead. Last month this group presented 6 performances of Carl Nielsen's comic opera Maskarade in Danish at the Vittum Theater. As a young dramatic soprano, Megan Cook is known for her lush high notes and a wide vocal flexibility. Hailing from Fort Atkinson, WI, Megan grew up as the daughter of two music teachers. Encouraged to explore all facets of the arts, she spent her school years performing in musicals and her summers touring the United States with a world class drum and bugle corps. After earning a Bachelor's Degree in Choral Music Education, she moved to Chicago to pursue further study at Chicago College of Performing Arts. While attending CCPA, Megan performed Gentle Reader in Dominick Argento's Miss Manners on Music and the Elegant Lady/Woman in Poulenc's Les Mamelles de TirÃ©sias. In addition, she performed several roles in scene work, including Lauretta in Gianni Schicchi, Mrs. Grose in Turn of the Screw, Countess Almaviva in Le nozze di Figaro, and Magda in La Rondine. Recent concert work includes the DuruflÃ©, FaurÃ© and Rutter Requiems, Vivaldi's Gloria, and Handel's Messiah. Megan is currently an Associate Member of VOX 3 Collective making her company debut at the end of the 2011-2012 season, singing FaurÃ©'s Chanson d'Eve. Since then, she has sung on several concerts with the company, including pieces from Wagner's TannhÃ¤user as Elisabeth, Argento's Postcard from Morocco as the Lady with a Cake Box, and the Chicago premier of Carl Neilsen's Maskarade as Dorthe. Mezzo-soprano Catie Huggins is known for her warm and burnished sound, as well as for her thrilling high notes. A winner of the 2009 Farwell Award from the Musicians Club of Women, she performed that summer at the Chicago Cultural Center's Preston Bradley Hall in a solo recital accompanied by VOX 3 music director James Morehead. She continues as a member of the Musician's Club of Women. She has performed roles such as the Mother in Amahl and the Night Visitors, the Mezzo in Dominick Argento's challenging opera Postcard from Morocco, and Mama Bear in the Chicago premiere of a new opera âï¿½ï¿½Goldilocks and the Three Bears. 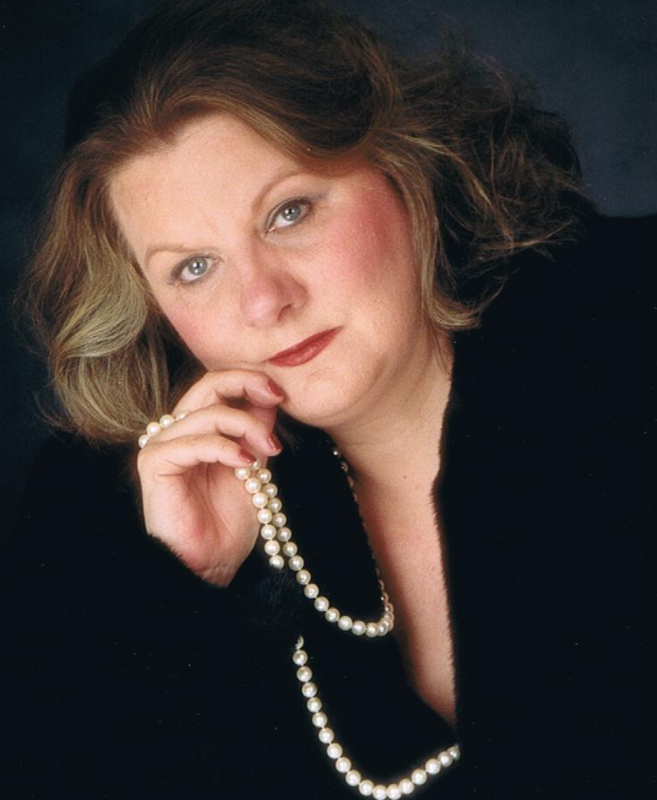 As a company member of VOX 3, she has been a part of diverse productions âï¿½ï¿½ from cabaret to oratorio to recital, including the world premiere jukebox opera night/music, in which she played the Moon. She has also sung the role of Mary in Respighi's Lauda per la nativitÃ del Signore. 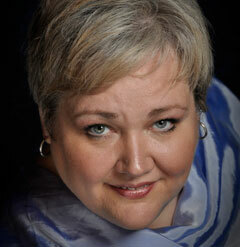 She has appeared with Grande Prairie Choral Arts as a soloist in her third performance of the Vivaldi Gloria. As the VOX 3 Education Co-Chair, she helps to generate and solicit content for VOX 3's online journal Collective Voice (http://vox3collective.wordpress.com/)- Check it out! Tenor Blake Bard, from Ulman, MO, is currently singing with Michigan Opera Theatre Chorus including performances of Der fliegende HollÃ¤nder, La Traviata, A View from the Bridge, and Turandot. 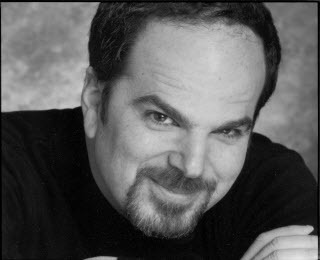 Recent roles include Parpignol in La BohÃ¨me with Toledo Opera, Danilo in The Merry Widow with Bowling Green State University, Prunier in La Rondine and covering Franz in Les Contes d'Hoffmann with Chicago College of Performing Arts, Pluto in Orpheus in the Underworld and Le Chevalier in Dialogues des CarmÃ©lites with BGSU. Blake has performed in three Cavalli operas: Pane in Gli Amre de Apollo e di Daphne with BGSU, Mercurio in La virtÃ¹ de'strali d'Amore (North American Premier in conjunction with Eastman School of Music), and a cover for Egeo and Sole in Giasone with Chicago Opera Theatre. Additionally, with the Comic Opera Guild of Ann Arbor, MI, he has performed several Victor Herbert operettas. In his spare time, he enjoys returning home to the farm to tend to miniature Herefords, goats, dogs, and cats. Blake Bard will graduate in May with a M.M. from Bowling Green State University. He currently holds a B.M. from Bowling Green State University in Bowling Green, OH. 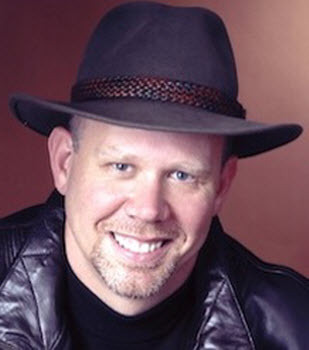 James Morehead is music director for VOX3, www.vox3.org, choir master/organist at St. Helena's Episcopal Church in Burr Ridge, IL, Assistant Conductor for the Chicago Gay Men's Chorus and primarily works as a coach, accompanist and music director for the Theater Conservatory of Chicago College of Performing Arts at Roosevelt University, where he has also served as Adjunct Professor of Music Theory/History and German Diction. James received his MM in Piano Performance and Music Theory from Roosevelt University and his BM from Duquesne University. As a Music Director, James has worked on Jerry Springer- the Opera, bare(Jeff Nominated: Music Direction), Passing Strange (Jeff Nominated: Music Direction), See What I Wanna See with Steppenwolf's Garage Series 2013, AIDA, Bloody Bloody Andrew Jackson, Trouble in Tahiti, The Rainbow Connection, the Mikado, The Impresario, Barber of Seville, The Old Maid and the Thief, Two Gentlemen of Verona, Sondheim in the Park, The Wandering Scholar, The Bear, Reagan's Children, Something Schwartz, The Way We War, Copacabana, Cupid and Psyche, Promises, Promises , Screwed Up People, Flaherty and Ahrens On and Off and The Tony Goes To, The Tony Goes II, and Once, Twice, Three Times a Tony among many others. Classically, James has performed at the Auditorium Theater, Harris Theater, Chicago Cultural Center, Navy Pier, Shedd Aquarium, Rockefeller Chapel, Chicago's Gospel Fest 2012, and Harold Washington Theater among many others. 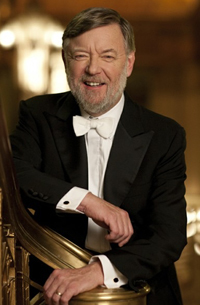 He has collaborated and performed with the Juliani Ensemble, the Grande Prairie Choral Arts Singers, Anaphora, Lyric Opera Kids, After School Matters, ChiARTS, Chicago's first public arts high school as well as multiple times on WFMT 98.7 FM. 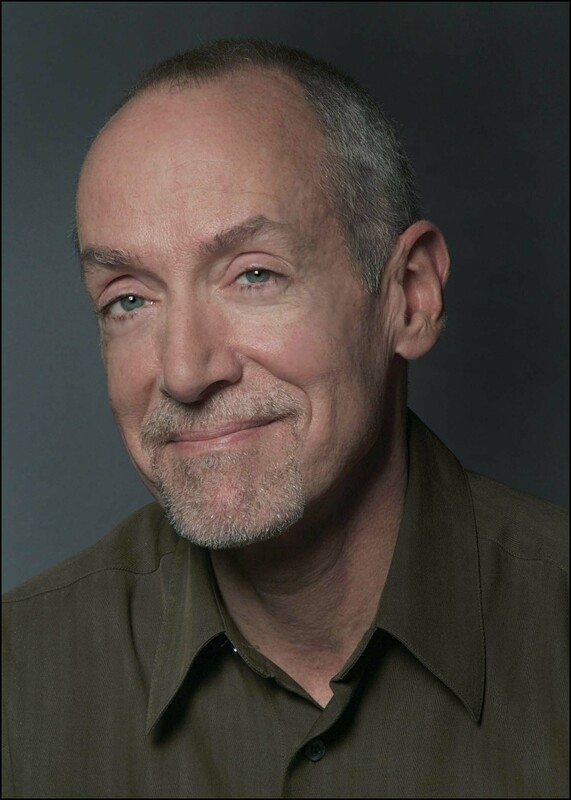 He has also appeared as a featured pianist at the Green Mill, Mary's Attic, the Tavern, Gentry on Halsted, Spin Nightclub, Davenport's, the 410 Club, the Spot and the Casino. 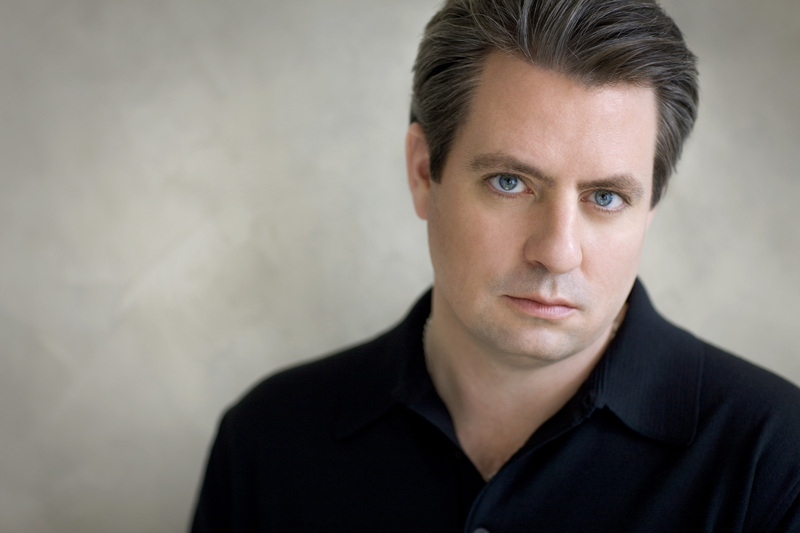 Program: We are pleased to have tenor MATTHEW POLENZANI join us to speak about his career including several Wagner roles early on: (The Steurermann in Dutchman, David and Vogelgesang in Meistersinger, and a nobleman in Lohengrin). A good portion of the session will be devoted to Q & A. One of the leading lyric tenors of our day, he is here for the title role in Mozartâï¿½ï¿½s La Clemenza di Tito at Lyric Opera of Chicago. 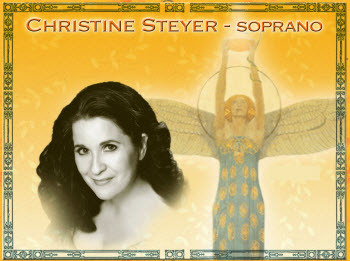 Past awards include the 2004 Richard Tucker Award and the Metropolitan Operaâï¿½ï¿½s 2008 Beverly Sills Artist Award. Matthew is a native of Wilmette. Program: We are pleased to have the husband and wife combination of Professors William Kinderman and Katherine Syer, both of the Department of Music at the University of Illinois. 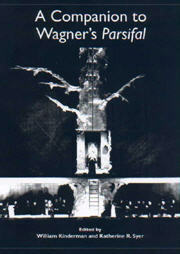 His presentation is "Wagner's Parsifal as Art & Ideology, 1882-1933." Her presentation is "Women on Stage in Parsifal." 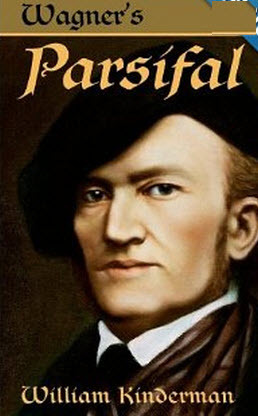 Richard Wagner was notoriously anti-Semitic, and his writings on the Jews were later embraced by Hitler and the Nazis. But there is another, lesser-known side to this story. For years, many of Wagner's closest associates were Jews'young musicians who became personally devoted to him, and provided crucial help to his work and career. Who were they? What brought them to Wagner, and what brought him to them? These questions are at the heart of Hilan Warshaw's new documentary Wagner's Jews, co-produced with WDR and ARTE and broadcast in Europe in 2013 to mark Wagner's bicentenary. 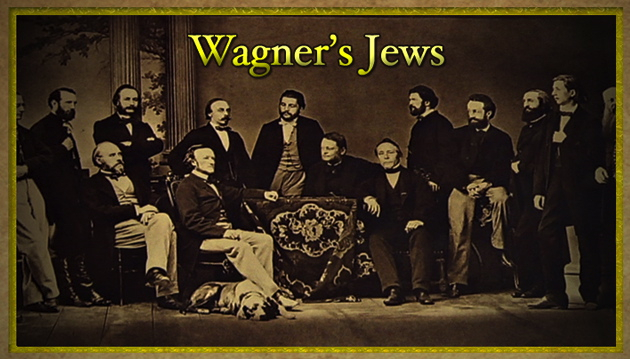 Filmed on location in Germany, Switzerland, and Italy, Wagner's Jews tells these remarkable stories through archival sources, visual re-enactments, interviews, and musical performances. Parallel to this historical narrative, the film explores the ongoing controversy over performing Wagner's music in Israel. Soprano Christine Brewer returns this time to sing accompanied by Craig Terry. After Wieland Wagner's stage innovations in the 1950's, commentators began to speak frequently about the duality of "traditional" productions and "avant-garde" productions of Richard Wagner's works. People still talk in these terms, but these two choices no longer cover the range of possible interpretations. Other influences, such as nationalism, environmentalism, specific political readings, psychoanalytic allegories, and many others, have created a more complex and nuanced paradigm. So where are we now? How can we judiciously interpret what we see on the stage today without relying on the terms of a half a century ago? How can we best judge if a Wagner production has succeeded or failed? 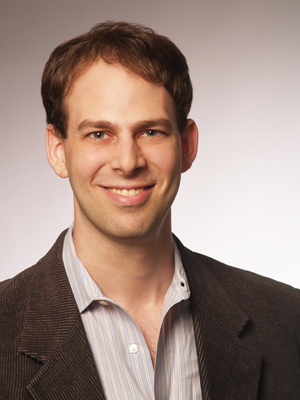 Northwestern Professor Jesse Rosenberg will give a talk on Wagner's Wesendonck Lieder as sung by soprano Rebecca Wascoe and accompanied by Jeffrey Peterson. 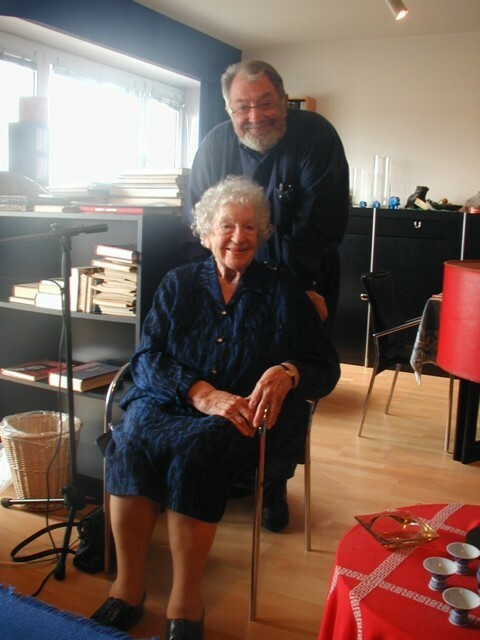 Included will be Professor Rosenberg's description of the connection to Tristan und Isolde and a vocal selection from it ("Mild und Leise"). Native Texan Rebecca Wascoe, known for her commanding stage presence and critically acclaimed as "vocally resplendent," she brings a dramatic intensity to each role she takes on. Some roles performed include Agathe in Der FreischÃï¿½Â¼tz, Fiordiligi in CosÃï¿½Â­ fan tutte, First Lady in The Magic Flute, Nedda in I Pagliacci, Santuzza in Cavalleria Rusticana, Ann Putnam in The Crucible, Madame Lidoine in ter. Her solo repertoire includes major works by Beethoven, Mozart, Schubert, Mahler, Verdi and Brahms, amongst others. Ms. Wascoe has been a winner of the Gerda Lissner Foundation Awards, and has placed in the Sigma Alpha Iota Graduate Performance Awards. Jeffrey is on the faculty at Baylor University. The Dank Haus is located just south of Lawrence Avenue. Lincoln Avenue crosses Lawrence about 50 feet east of Western. Free parking in the MB Financial Bank lot one half block west on Lawrence. at 4732 N. Lincoln Avenue (about 1 Ãï¿½Â½ blocks away). 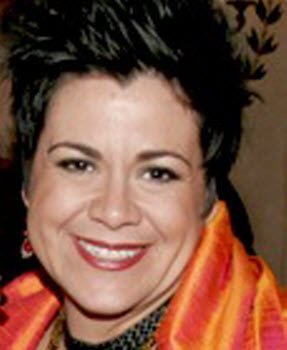 We are pleased to have Marlis join us as she did when she was at Lyric Opera of Chicago in the title role of Lulu. This time she is doing quite a different kind of role in Don Pasquale. In between these performances she was a huge hit at the Metropolitan Opera in Hamlet (on very short notice) and in Lulu. She will certainly have something to say about that and will take questions from the audience. 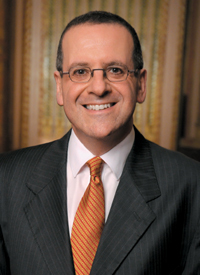 Enjoy a unique opportunity to meet Lyric Opera of Chicago's General Manager, Anthony Freud. 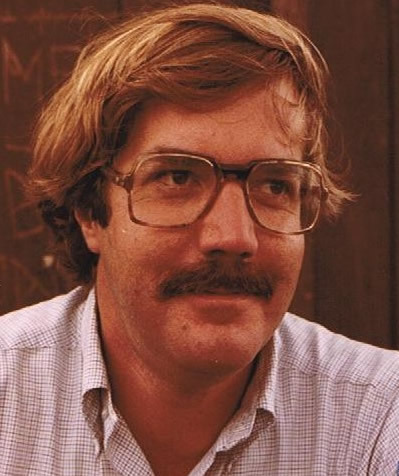 Wagner News Editor Bill Shackelford will moderate. JENNIFER TIPTON, lighting designer. A graduate of Cornell University, she has won two Tony Awards, a MacArthur Grant, and The Dorothy and Lillian Gish Award among others. She has served as an adjunct Professor at the Yale School of Drama for 20 years. She did the lighting design for Peter Sellars' TannhÃï¿½Â¤user in 1988 and is here now for Elektra. She and her husband live in New York City. We are delighted to present this talented artist. This lecture explores Wagner's influence on the work of Sergei Eisenstein, the pioneering Soviet filmmaker and theorist. The talk will include clips from Eisenstein's films and Wagner's operas, as well as a discussion of photographs and designs from Eisenstein's historic 1940 production of Die WalkÃï¿½Â¼re for the Bolshoi Theater. Eric Weimer has established himself as one of the pre-eminent coach/Assistant Conductors in the international opera world. Through his work at some of the world's leading companies'in particular, Lyric Opera of Chicago, the Metropolitan Opera, and the Bayreuth Festival, but also the San Francisco Opera, Chicago Symphony Orchestra, and Cleveland Orchestra'he has prepared some 150 productions, collaborating with most of the world's greatest opera maestri: James Levine, Sir Andrew Davis, Bruno Bartoletti, Donald Runnicles, Zubin Mehta, Daniel Barenboim, Franz Welser-Moest, Antonio Pappano, James Conlon, Christoph Eschenbach, Christian Thielemann, and Georg Solti. In this work, he has coached and worked closely with virtually all the major singers active on the international opera stage. While famous as a German specialist'he has prepared no less than twelve complete cycles of Wagners's Der Ring des Nibelungen'he is known also for the breadth of his experience with other repertoires, particularly the Baroque and the Italian. A fluent speaker of German and Italian, he has prepared most of the German and Italian repertoire that Lyric Opera of Chicago has presented in the past 24 years. A former musicologist'Dr. 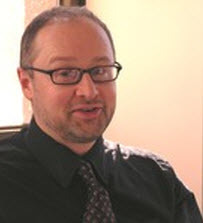 Weimer holds a Ph.D. from the University of Chicago and is the author of Opera seria and the Evolution of Classical Style'he is also in great demand as a coach of young singers. 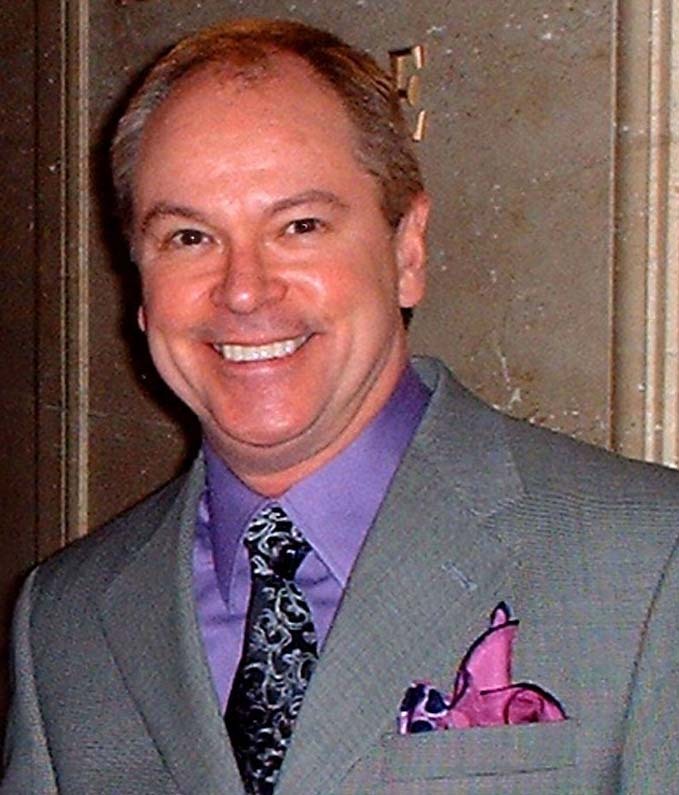 He joined the music staff of the Ryan Opera Center (training wing of Lyric Opera of Chicago) in 1992. Preliminary thoughts about the two bicentenaries of 2013: Wagner and Verdi were both born in 1813. Professor Gossett recently reviewed Peter Conrad's new Verdi/Wagner, for the Times Literary Supplement and will discuss some of the differences and similarities between these two composers, who represent two very different countries. Much separates them, but much also joins them together, and that is worth discussing! On the record, Samuel Clemens professed bemused confusion about the work of Richard Wagner, an extension of what is often assumed to be his feelings about opera in general. Did Mark Twain in fact say that Wagner's music is better than it sounds? And if he did, what did he mean? This talk looks into the deeper record of Twain's musical knowledge, his appreciation of opera and his complicated relationship to Richard Wagner. Twain's encounter with Wagner's music sets the stage for later American encounters with modernism and high art, and it displays in miniature cultural anxieties that plague Americans to this day. Philip Kennicott is chief art critic of The Washington Post, where he has also served as classical music critic and culture critic. 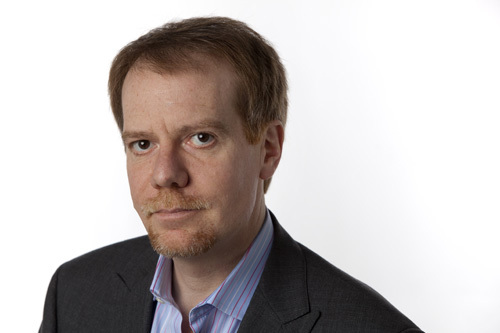 He is a long time columnist for Gramophone, a frequent contributor to Opera News and former editor of Musical America, Chamber Music and Ovation magazines. 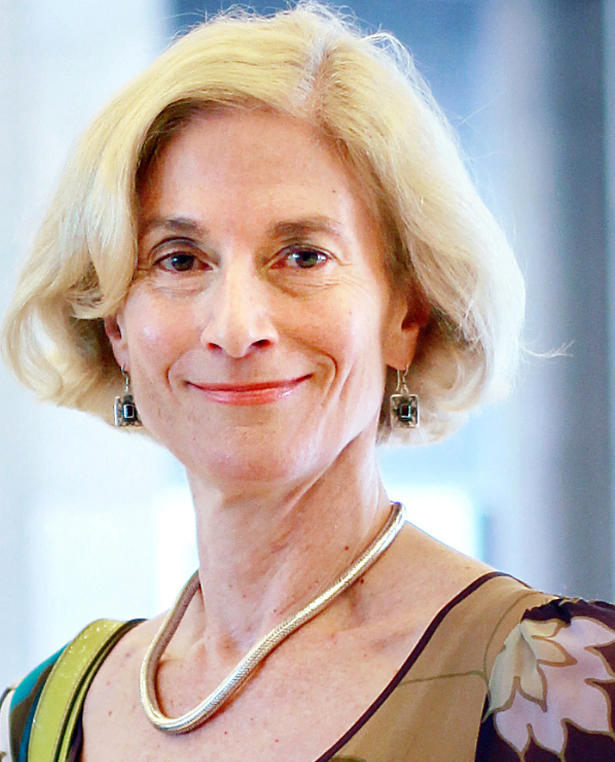 in "The Birth of Tragedy"
We are proud to have Martha Nussbaum for our November program. 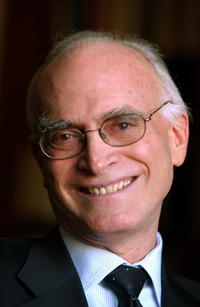 Professor Nussbaum is the Ernst Freund Distinguished Service Professor of Law and Ethics, appointed in the Philosophy Department, Law School, and Divinity School at the University of Chicago. She is an Associate in the Classics Department and the Political Science Department, a Member of the Committee on Southern Asian Studies, and a Board Member of the Human Rights Program. 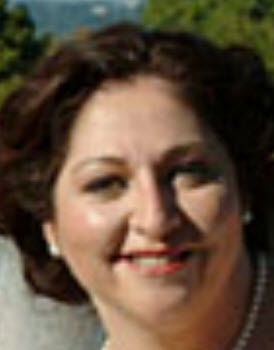 She is the founder and Coordinator of the Center for Comparative Constitutionalism. 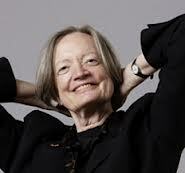 She has received over 40 honorary degrees from colleges and universities around the world. She has authored over 20 books and edited 14 others. Last year, she appeared in a 3-hour interview/call-in program on C-SPAN's BookTV's "In Depth" (Complete program is available for viewing at: http://www.booktv.org/Watch/11557/In Depth Martha Nussbaum.aspx ) She is also a long-time member of the Wagner Society of America. Local writer Mark Thomas Ketterson, the Chicago correspondent for Opera News magazine, will discuss his own personal history as an arts writer, and share his thoughts about the current state of the art form as well as the process of assembling a critical review of an operatic performance, using Lyric Opera's 2010-2011 production of Wagner's Lohengrin for illustrative purposes. CARTER SCOTT, soprano, who appeared at Lyric Opera of Chicago last season in Verdi's Macbeth, will give a program consisting of the Wesendonck Lieder, along wtih other works of Wagner, Bellini, Strauss (both Richard and Johann II), and Puccini! . Carter gave a wonderfully well received program for the Near North Chapter of Lyric two seasons ago. Fred Ockwell will accompany her. Professor Vazsonyi will speak on his recent book, Richard Wagner: Self-Promotion and the Making of a Brand. Cambridge: Cambridge University Press, 2010. When we asked Stephanie Blythe about young singers that we should keep an eye out for, she responded, 'There's Amber Wagner." Amber sang for our joint holiday event in December, 2009 with several Lyric Opera chapters. Amber is here in Chicago to sing two performances as Elsa in Lohengrin at Lyric Opera of Chicago on March 5th and 8th. For our evening with Amber, as usual for events with performing artists, she will give a brief autobiographical statement and then field questions from the audience. If you haven't seen the DVD of 'The Audition' do it ! One of the leading mezzos of our day, Stephanie has been in Chicago for Un Ballo in Maschera and for The Mikado. From all reports she has stolen the show in her first ever Katisha. 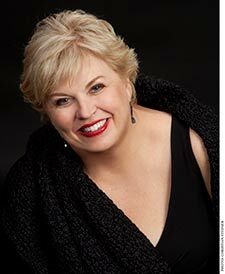 We know her best in roles such as Fricka in Die WalkÃï¿½Â¼re or Orpheus in Gluck's Orfeo ed Euridice, but her diverse repertoire includes her personal tribute We'll Meet Again'The Songs of Kate Smith, which she'll be presenting in New York on February 16th at Lincoln Center as part of the American Songbook series. As usual with our get-togethers with performers a large part of the program was devoted to the Question and Answer portion. THE WAGNER SOCIETY ANNUAL HOLIDAY PARTY!!! Program will include excerpts from Der Rosenkavalier, works of Brahms, Wolf, Mahler, and more! had an extensive career in opera and in the broadcast media. "TIME AND THE MARSCHALLIN: OPERA AND THE AGING WOMAN"
Distinguished Service Professor of the History of Religions in the Divinity School of the University of Chicago, will present a program related to the upcoming Lyric Opera production of Der Rosenkavalier. A number of us had the good fortune of hearing her lecture during last yearâï¿½ï¿½s Ring Cycle. I am sure you will enjoy her and her lecture. Our own MELANIE TOMASZ, soprano, will sing with and be accompanied by Professor FREDERICK OCKWELL of the Northwestern University School of Music. They have designed an interesting and delightful program of Wagnerian works. Melanieâï¿½ï¿½s most recent stage appearance was as Maria Callas in Terrance McNallyâï¿½ï¿½s MASTERCLASS. Fred accompanied our holiday program in 2004 as well. "More Acting Please! : Putting Drama Back into Music Drama"